The Antares NG-11 rocket launched successfully Wednesday from the Mid-Atlantic Regional Spaceport at Wallops Island, Va. sending the Cygnus cargo spacecraft on its way to the International Space Station. Cygnus is carrying three Virginia CubeSat Constellation satellites to the ISS for subsequent deployment into orbit by onboard astronauts. The mission is managed by the Virginia Space Grant Consortium in collaboration with Old Dominion University, University of Virginia, Virginia Tech and Hampton University. 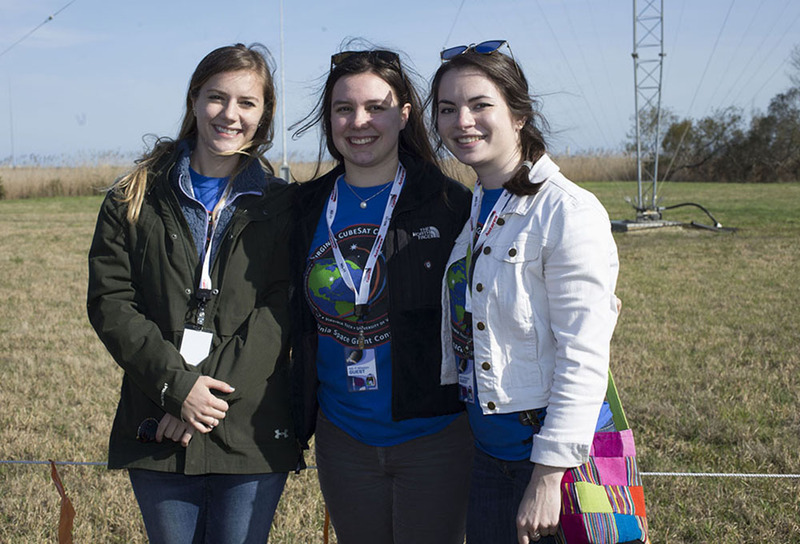 UVA, ODU and Virginia Tech each developed one of the satellites and Hampton University developed a data analysis tool for the mission. The post-launch press release can be found here. Photographs from the event can be found on our Flickr page. Official NASA photographs of the launch can be found here. More information on the Virginia CubeSat Constellation project can be found on the website. Video courtesy of Keith Pierce/ODU Batten College of Engineering and Technology.